This past Saturday, October 11th, instead of sleeping in, we were up and ready to walk. 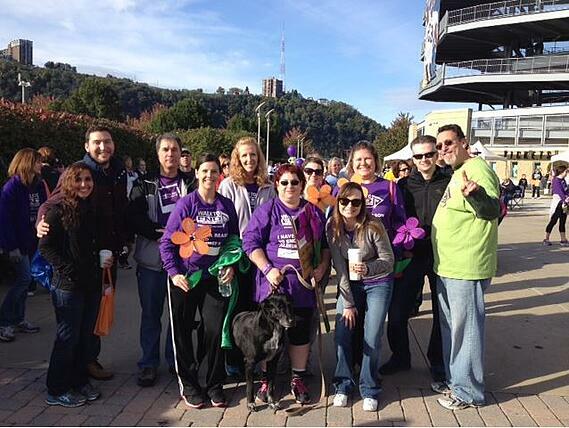 For the fourth year in a row, Pipitone Group participated in the Pittsburgh Walk to End Alzheimer’s. 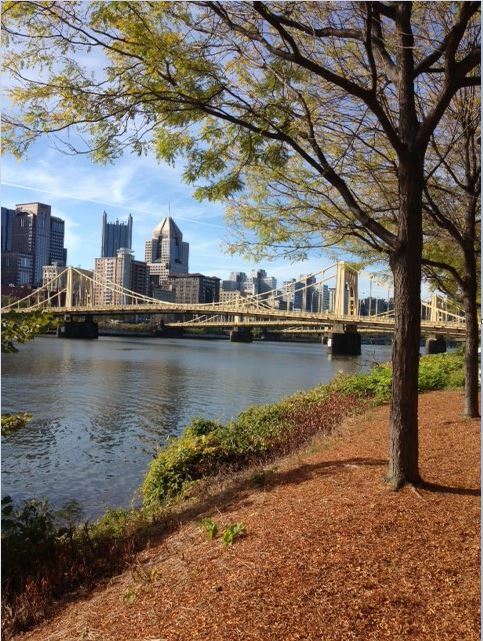 The three-mile walk started at Heinz Field and toured much of the North Shore. This year, we had 28 actual and virtual walkers and raised $1,590 for the Alzheimer’s Association’s Greater Pennsylvania Chapter. This success was only possible thanks to Pipitone Group employees, friends, family and clients. The Pittsburgh walk had 2,895 walkers total and raised more than $351,000. Walkers were given pinwheel flowers in colors representing their association with Alzheimer’s disease: blue for those with Alzheimer’s, yellow for caregivers, purple for those who’ve lost someone to the disease and orange for those with no connection but a vision for a world without Alzheimer’s. Pipitone Group’s own Principal, Strategic Integration, Arnie Begler, served as the event co-chair for this year’s Walk, and the whole PG family rallied around to support the cause. Arnie has a family connection to Alzheimer’s disease, so the walk had an especially personal significance. Courtney Connor, Relationship Manager, served as the Pipitone Group team captain, helping to organize and direct the PG team. “I’m so thankful for all the Pipitone Group team members and friends who donated, walked and have been supportive to this cause that is so near and dear to me. I can’t tell you how touched I am when our Pipitone team comes together for any special reason,” said Arnie. The Alzheimer's Association Walk to End Alzheimer's raises awareness and funds for Alzheimer research, care and support. Currently, more than five million Americans have Alzheimer's and that number is expected to grow to as many as 16 million by 2050. Online donations for the 2014 Walk to End Alzheimer’s Pittsburgh are still being accepted through the end of the year. Click here to donate and help the Alzheimer’s Association’s Greater Pennsylvania Chapter reach its $400,000 goal.